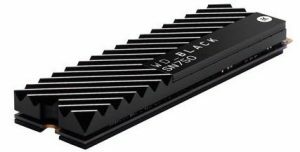 Western Digital introduced a new second-generation high-performance solid state drive model: WD Black SN750 NVMe SSD. 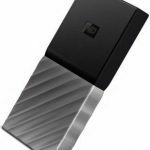 It comes in the M.2 2280 form factor, which means that the drive has a width of 22 mm and a length of 80 mm. 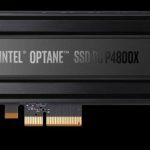 Thanks to this, these SSDs can be installed both in desktop gaming computers, powerful enthusiast systems and laptops. WD Black SN750 has the same memory architecture and relies on the same NVMe controller as its predecessor. But, the Western Digital Black SN750 NVMe SSD with 1 TB of memory, provides consistent read and write speeds of up to 3470 MB/s and 3000 MB/s respectively. On paper, it may seem like a slight increase in the sequential read speed of 3400 MB/s and the sequential write speed of 2800 MB/s over the previous WD Black NVMe SSD, but in tests we noted an exceptional increase in speed from the previous SSD model. IOPS (input/output operations per second) ranges from 220.000 to 515.000 with random reading of data and from 180.000 to 560.000 with random writes (when working with blocks of 4 KB each). Due to its enhanced performance, the WD Black SN750 SSD seems to be a direct competitor of Samsung 970 Pro SSD which provides up to 3500 MB/s in sequential read and writes of 2700 MB/s. The WD Black SN750 SSD is equipped with a sleek and modern EKWB passive heatsink which allows the drive to maintain high speeds and low temperature compared to SSDs that do not have a passive heatsink. Improved functionality and characteristics of the updated drive allow gamers and PC enthusiasts to achieve a significant increase in performance when running demanding games. 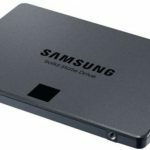 Also, this SSD an ideal choice for creatives and media producers who need a fast writer to keep up with their production. The Western Digital Black SN750 SSD is one of the fastest SSDs we have ever tested. Also, it has incredibly affordable price tag. The WD Black SN750 500 GB will cost you about $129, and the same model with 1 TB of memory will cost you $249. The WD Black SN750 will also be available with a new 2 TB capacity for $ 499, which will be released later this February. The WD Black SN750 NVMe SSD drive comes with a 5-year limited warranty. The SSD’s endurance rating starts at 200 TBW (Terabytes Written) for the 250 GB model, and spans up to 1200 TBW for the 2TB model.